EmSens from EVT Eye Vision Technology is an embedded vision sensor solution for the control cabinet. It is a small, compact solution that requires little space and contains components including the image-capture onboard and EyeVision mounting into a control cabinet. 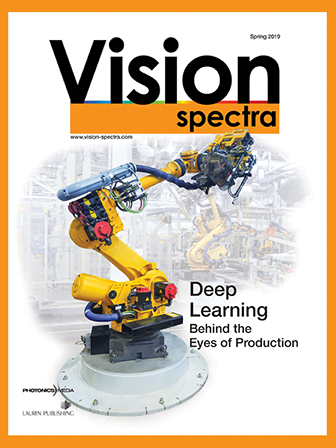 As a straightforward embedded vision solution, it is also cost-saving. EmSens is a combination of a single-board computer, such as the Odroid-XU4 or PINE and the Basler dart board-level USB 3.0 camera. The Basler dart camera has both a CS-mount and an S-mount and is also available without mount. The sensors are available in gray or color, with three different resolutions up to 5 MP.